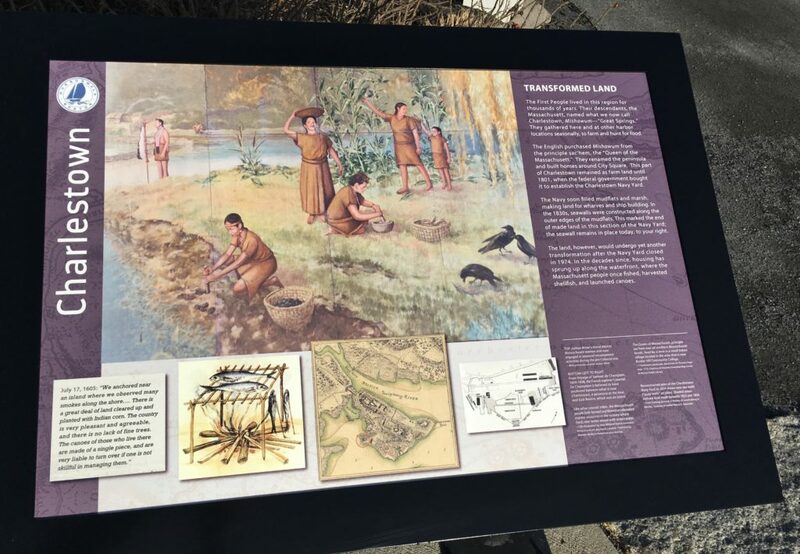 Two new Harborwalk interpretive signs, with content provided by Friends of the Boston Harborwalk (FBHW), were recently installed at Harborview condos next door to Spaulding Rehabilitation Hospital in Charlestown. 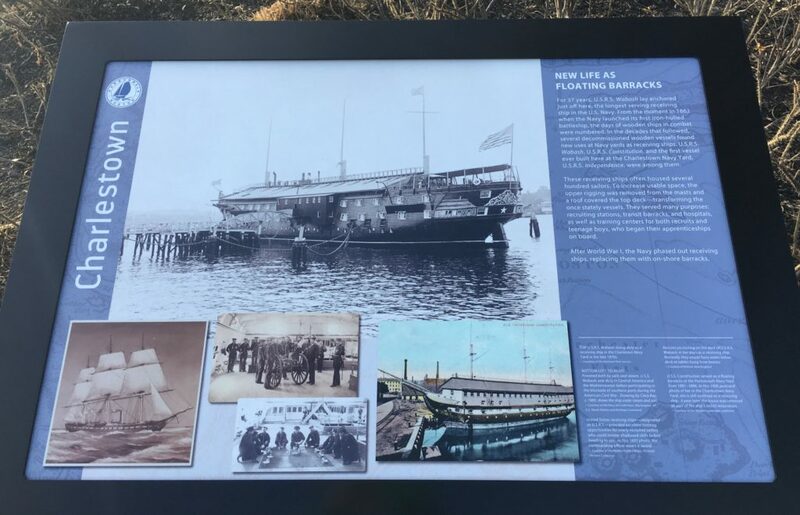 One sign tells the story of the U. S. Navy’s wooden ships that were transformed into floating barracks during the second half of the 19th century—including the U.S.S Constitution. With the deployment of iron-hulled battleships, the older ships were given new uses at the Navy Yard. Six additional Harborwalk signs are in production, to be installed in East Boston, and another nine are in various stages of development. Three completed signs can be visited in East Boston.